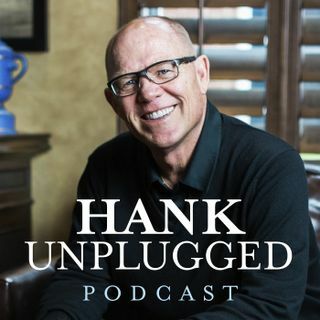 This week, Hank is joined on Hank Unplugged by Carl Amari, producer of the award-winning “Word of Promise” audio Bible. Find out how Carl has produced audio versions of the Bible that enable us to hear and understand the Bible like never before in human history. Topics discussed include: the origins of Carl’s interest in classic dramatic radio (5:00); the future of terrestrial radio (11:00); presenting the Bible with A-list actors performing the audio to create a theater for the mind (13:00); ... See More the “street cred” Hollywood actors feel when working on a project related to the Bible (18:00); using the Apocrypha to better understand the Bible (24:00); the importance of having different biblical translations (26:00); the usefulness of having a theologian to provide actors with biblical context when recording the Bible (31:00); the evolution of production and consumption in media today (38:30); the free page Carl made for followers of CRI to stream the Word of Promise version of the Gospel of Mark [http://www.wordofgodcri.com] (42:00); will movie theaters soon disappear? (48:00); could audio Bibles help solve problems of biblical illiteracy in the world today? (51:00).